The kids are out of control excited about going out trick or treating! In the spirit of the holiday, I’m getting ready to make some bat cut-out cookies for my daughter’s school party. Usually, I purchase some Vanilla Dip from a bakery to ice them, but I forgot. It’s hard for me to go back to the old confectioner’s sugar/milk icing when I’ve been spoiled by the perfect sheen preservatives bring to professional cookie icing. I’m going to try something new – melted “chocolate” wafers. I’ll dredge the bottom of the wings in Halloween sprinkles and use a candy corn for the body. It looks awesome in my head. We’ll see how that translates to cookies! I also spent yesterday morning making a Native American cape with my other daughter. She is disappointed that her grade is having a Native American party instead of a Halloween party, but by the time we got all the pony beads on her cape I think she felt better. I got roped into sending pure maple syrup in to school with her. Cost me $8, so she better have a good time at that party! 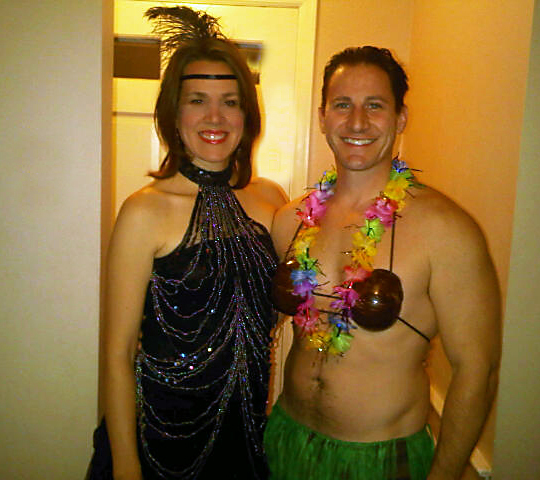 My husband and I had a good time at a Halloween party, too. You can’t see it in the picture, but I was wearing a pair of smoke grey stockings that dated back to 1998 – the year I was my BFF’s maid of honor in Atlanta. (You have to buy two pair in case you put your thumb through one pair, you know.) Can you believe I moved to New Orleans and back to New York with those stockings? Sheesh! The elastic gave out as we walked to the party – totally cracked me up! One beer, one jello shot, one dry ice trick, one sodium explosion, and five kinds of dips later, we walked back home. For me, Halloween seals the deal on fall. The air is cold. The leaves are spook-tacular. 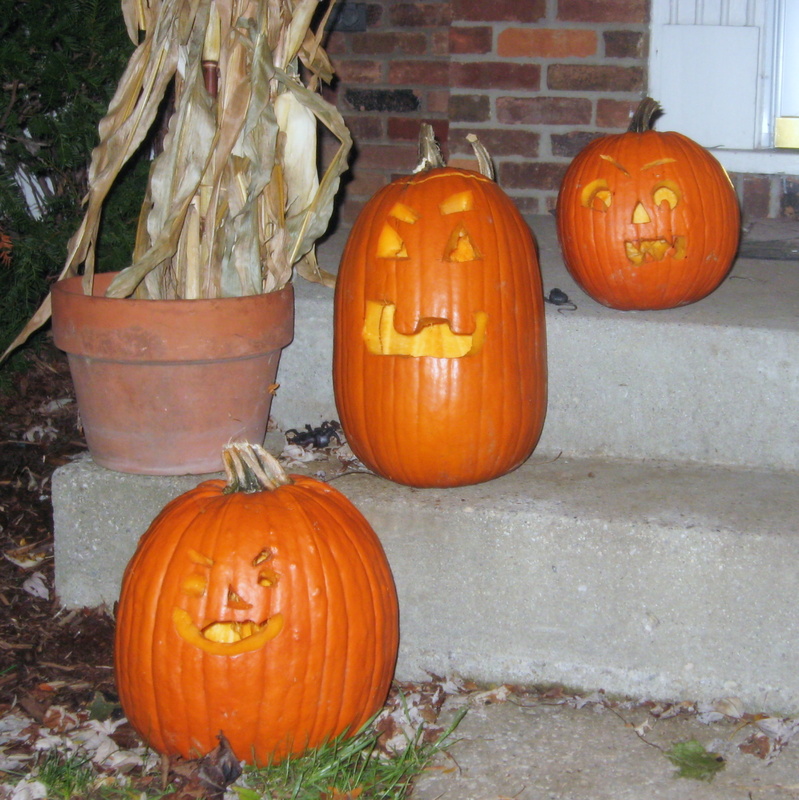 Snow is about to happen…but for now, enjoy the jack-o-lanterns.